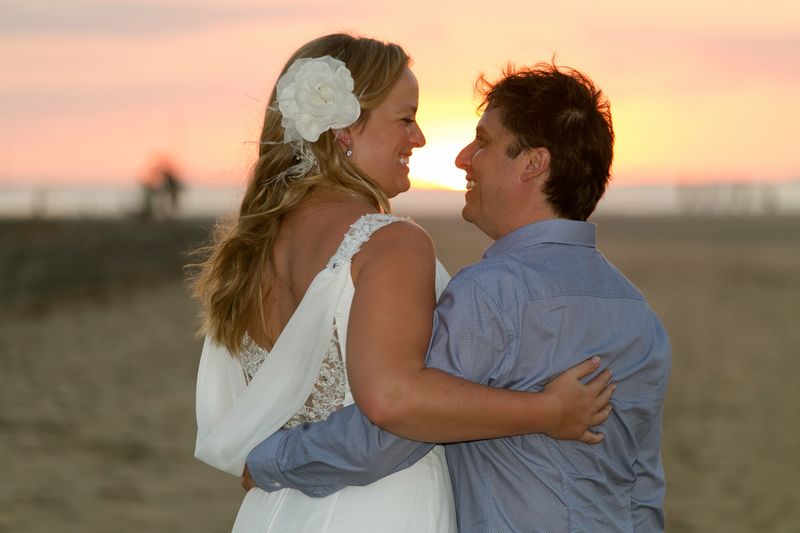 Naomi and Shane came to Costa Rica with friends and family to get married on the beach. No surprise coming from Peace River, Alberta. It’s cold up north and this group was looking for the sunny beaches of Costa Rica. 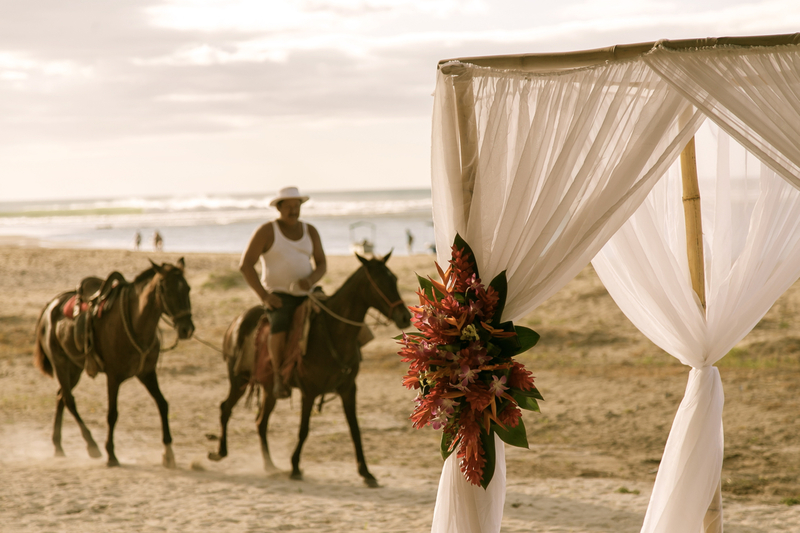 Staying at the Barcelo Langosta they opted to have their ceremony at Pangas in Tamarindo. The theme was tropical and this venue was perfect. 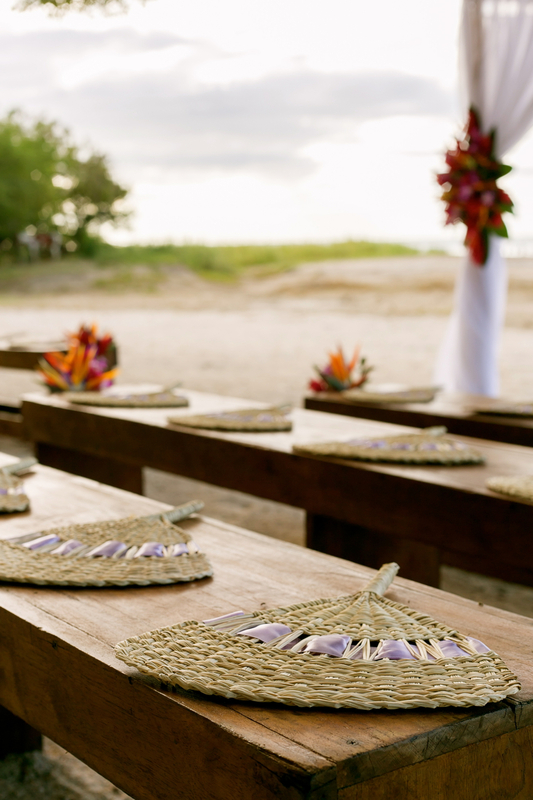 Rustic benches on the beach in front of a canopy with the ocean in the background. Some unexpected guests arrived. 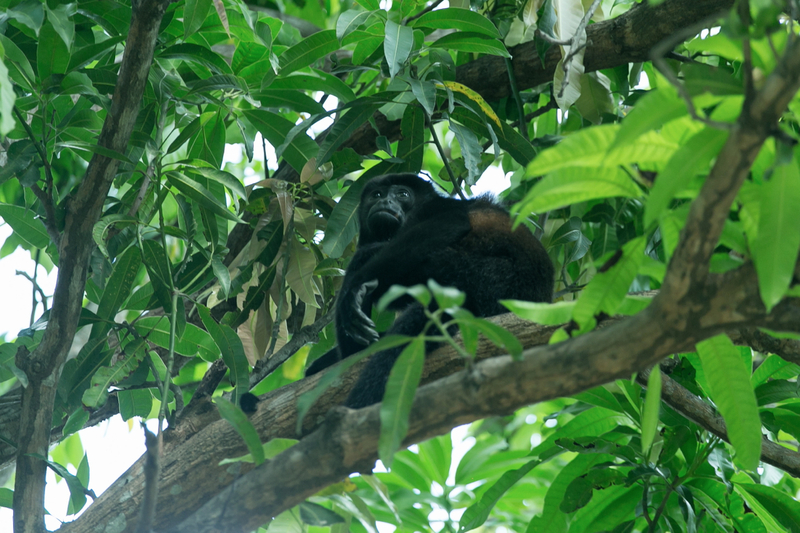 A troupe of howler monkeys watched the ceremony on a tree top. The sunset was superb. The cocktails and passed appetizers were served on the beach and then everyone went to the upstairs deck area for the reception. The extensive buffet was a taste treat. 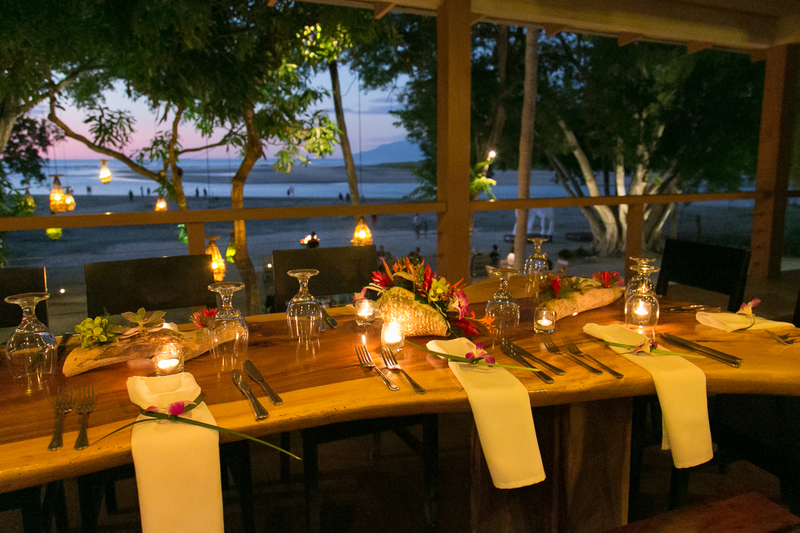 Serving some of the best food in the area and the service was top rate which makes Pangas one of the top wedding venues in Tamarindo. 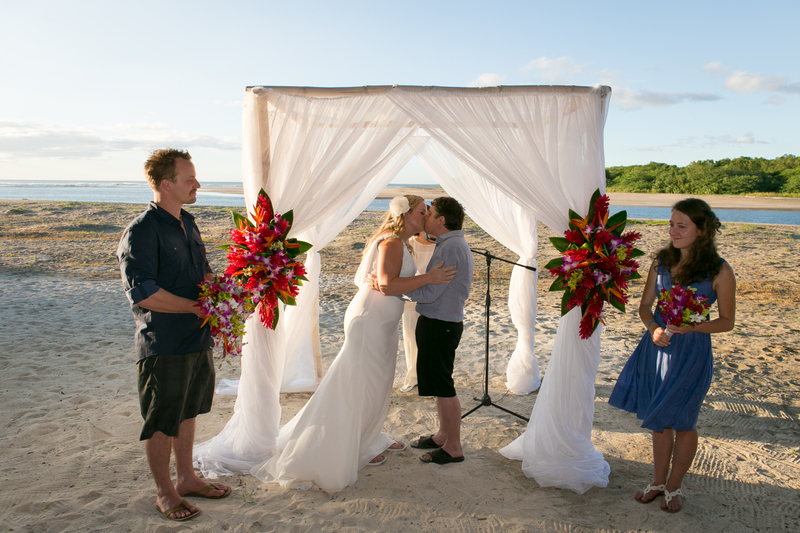 Driftwood and shells from the ocean featured succulents and tropical flowers. 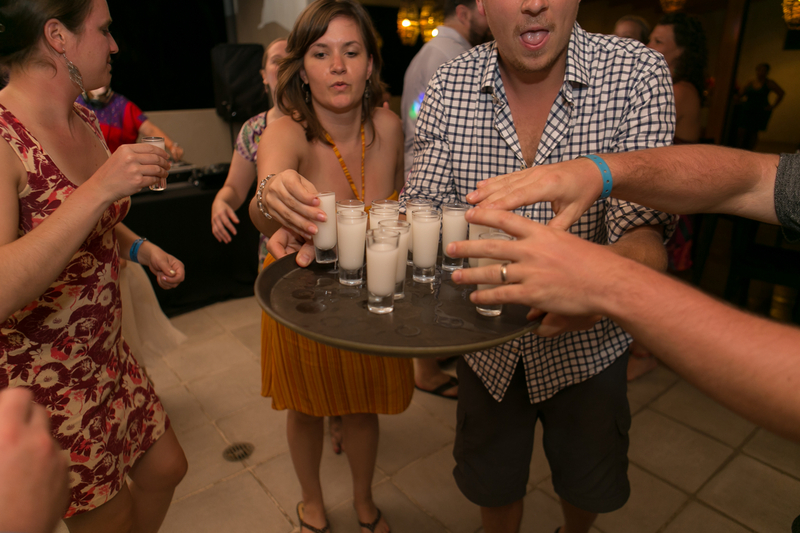 Before the party ended everyone took that “last shot” before heading home. 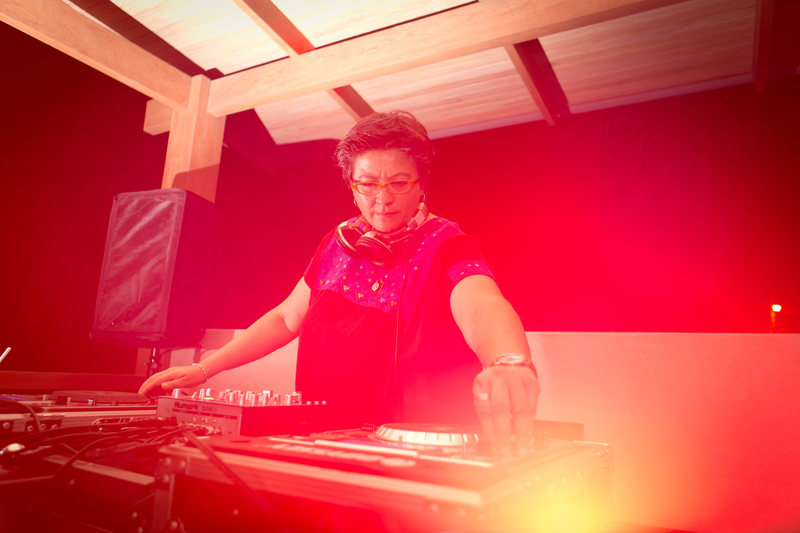 Dj Luz kept the party on track and John Williamson caught all the action with his wonderful photos. 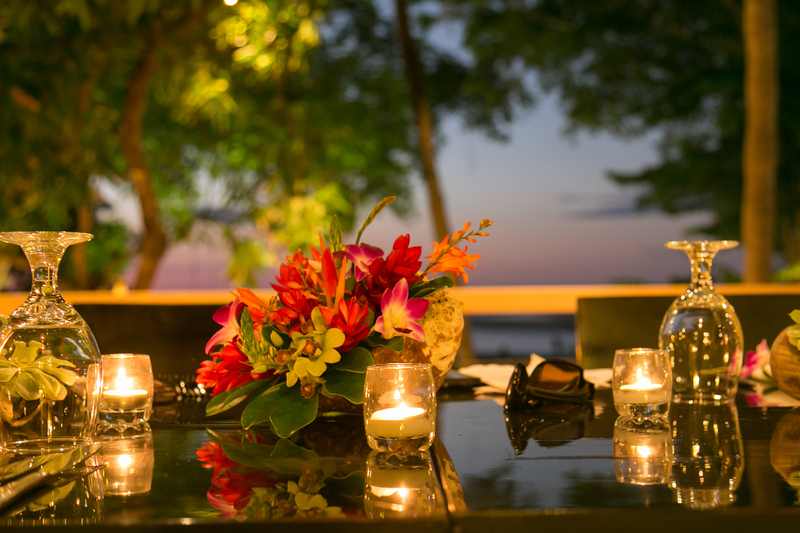 This entry was posted in Beach Wedding, tamarindo Beach Wedding, Tamarindo Beach Weddings, Wedding Ceremony, Wedding Flowers, Wedding Locations, Wedding Music, Wedding Pictures, Wedding Reception and tagged pangas, tamarindo beach wedding by Randy Gritz. Bookmark the permalink.